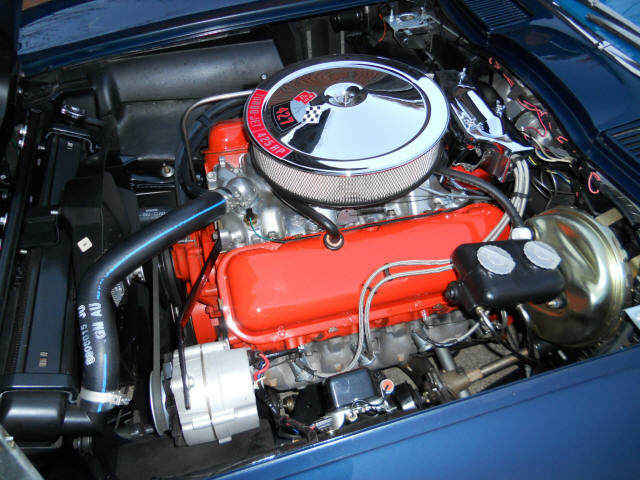 1966 Corvette 427/425 HP Big Block Coupe, numbers matching, factory 4-speed, "Top Flight", absolutely spectacular and stunning concours example with most all correct ancillary items. Must see to believe. The undercarriage is literally as clean as new. Believed to have 45,930 actual miles. Retains the original body and trim tag codes. 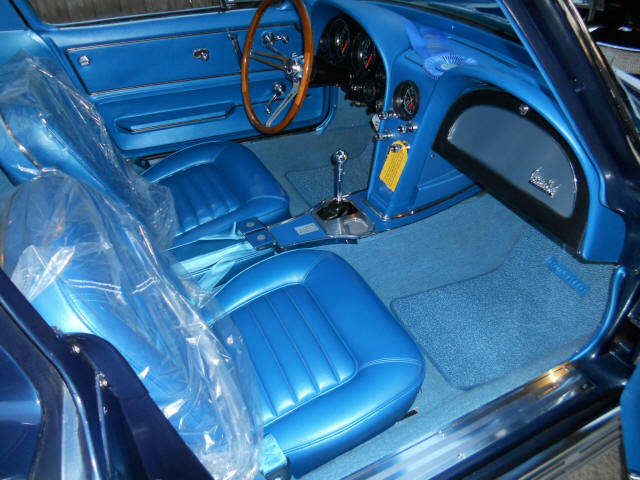 Original colors of Laguna Blue w/ Bright Blue interior. The body lines, door and panel gaps, panel straightness and lacquer paint finish all factory-original standards. There is WAY too much too list in terms of documentation and history but some key highlights are included. Very rare color scheme and one of few still known to exist. A no-expense spared body off nut and bolt restoration was performed on this beauty and since achieved the coveted "Top Flight" NCRS award. It was an approximate 2 year plus very expensive $$ restoration by a well known restorer. Engine and trim tag have been affirmed original by CCAS guru Al Grenning. Have the original Protect-O-Plate as well. Optioned with power brakes, power antenna, teakwood wheel, telescopic wheel, M-21, F-41 suspension, 4:11 positraction, AM/FM radio, factory side exhaust, (5) original Kelsey Hayes knockoffs (extremely rare) and transistorized ignition. Documentation of previous owners, restoration history, NCRS Shipping Data Report, NCRS Top Flight ribbon, restoration photos and the like. Production date of December 20th, 1965 and delivered to TPL Chevrolet in Clinton, NC. (dealer code 755 in zone 16) per the official NCRS/GM Shipping Data Records. Provenance like this helps set these cars apart from the rest. This may be one of the finest 1966 Coupes known to exist and is an investment grade, no excuse example. This Corvette's unique mix of heritage, paperwork, options and equipment make this a very rare and scarce opportunity. This is the best of the best. Email, call or text if interested.